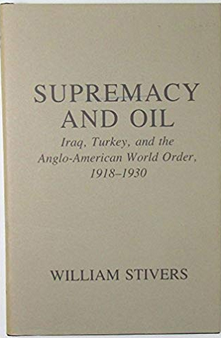 William Stivers’ book is about the negotiations between England, the United States and Turkey after World War I that led to the creation of Iraq. England came out a victor in the war, but was broke and its army was overextended. 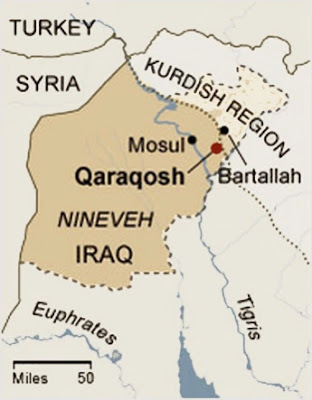 It had to decide what to do with the former Ottoman provinces that would become Iraq. It was hoping to bring the United States into the Middle East to help share the burden, but Washington was only interested in expanding its business in the region, while the British footed the bill. Finally, Turkey laid claim to Mosul province, which threatened England’s plans. It’s these different agendas which Supreme And Oil does such a good job explaining. The Ninewa Plains are dotted with several Christian towns. They all suffered during the war against the Islamic State with most of the populations fleeing. Since the conflict ended, many of these areas have continued to face problems with getting people to return, rebuilding and rivalries with other communities. Nouri al-Maliki held the premiership from 2006-2014, the longest sitting prime minister in Iraq since the overthrow of Saddam Hussein. Like other top officials Maliki used his position to enrich himself and his party, Dawa. Surprisingly, for all the years he was in office there were few stories about his corruption that made it into the media. In February, the Daily Beast broke a story documenting one such case involving a kickback from a defense contractor. Professor Toby Dodge wrote Iraq From War To A New Authoritarianism with the goal of evaluating the Bush administration’s war aims after the U.S. withdrew its armed forces at the end of 2011. 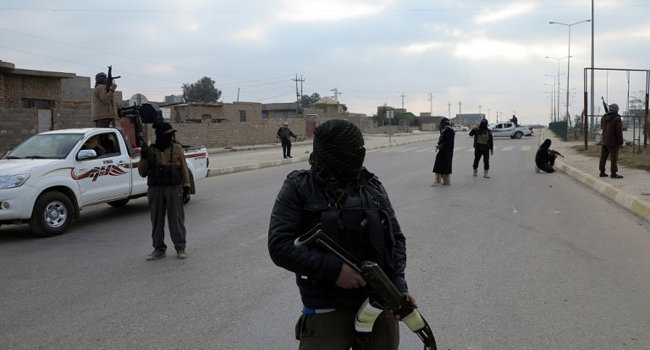 The White House said it wanted a stable and democratic Iraq that would not be a threat to itself or its neighbors. Dodge believed the U.S. fell far short of accomplishing that. Instead what it left behind was a weak state that had lost its monopoly on force and allowed various groups, including some connected to the government to use violence at will, and that was vulnerable to interference from its neighbors. Iraq while holding elections was governed by an elite bargain between exile and opposition parties that largely excluded Sunnis, and was giving way to an authoritarian prime minister in Nouri al-Maliki. 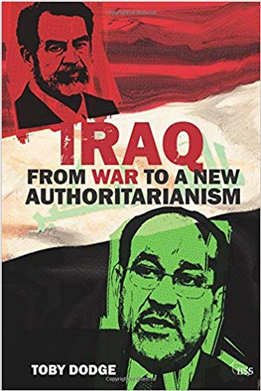 That last element, which is only a fraction of the book, was what actually made Dodge’s analysis of Iraq standout because he was one of the first westerners to criticize Maliki and his concentration of power. Not even Dodge however could predict how much of an impact Maliki would have upon the future of Iraq. The Iraqi Human Rights Observatory said that thousands of people have not been able to return to their homes in the Baiji district of eastern Salahaddin. It cited four main reasons: over 20,000 homes are destroyed or damaged, there is a lack of work, there is apprehension about the security situation, and Hashd forces are refusing to let people back. This area is symbolic of many other parts of central Iraq that are suffering from the aftermath of the war with the Islamic State. 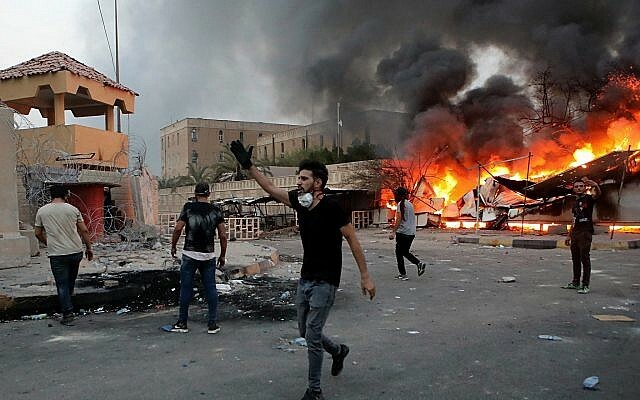 During the summer of 2018 protests returned to Basra focused upon services like water and electricity, fighting corruption and better governance. They eventually turned into riots in Basra city that went after political parties, Hashd al-Shaabi groups, and the Iranian consulate. Several activists were arrested and killed in what organizers believed was retaliation by some of those same parties.